Our second combined post specially for Garden Bloggers’ Bloom Day, here’s whats happening in our Autumn Gardens. We hope you enjoy our “April blooms” and then join Carol at May Dreams Gardens to see what she and other gardeners around the world have blooming today – the Spring Gardens in the Northern Hemisphere are looking stunning so please go and take a look! And then also take a look at ‘Garten Blogger Blüten im April‘ over at Seepferds Garten – A stunning garden in Berlin, Germany, who hosts the German version of Garden Bloggers Bloom Day! Then join us all by showing whats flowering in your garden – we’d love to see. Come on SA Gardeners, there are so few South African Gardens on display at Garden Bloggers Bloom Day and we want to see more! (If you want see another beautiful South African Autumn Garden, visit Diana’s garden at Elephant’s Eye. Its looking spectacular in Porterville). I am quite amazed at all the beautiful blooms in Christine’s Garden. I have to say that my display is not so bold and colourful. Subdued and tame, my garden is starting to see the effects of autumn. The only real new flowers that are blooming are my indiginous proteas. But my never-failing lavender and my sweet-smetting roses are always ensuring that my vases in the home stay full ! 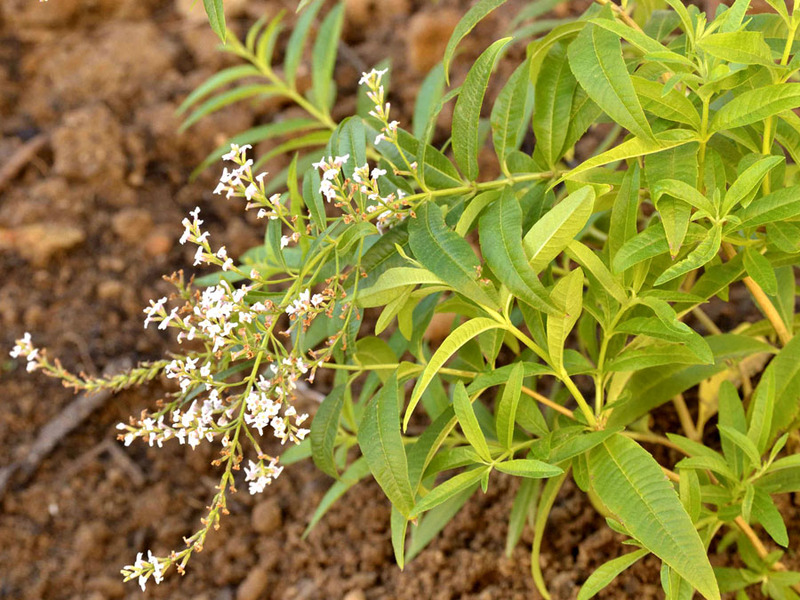 The Lemon Verbena has the most delicate blooms and I had to add this small bush because she is trying so very hard. 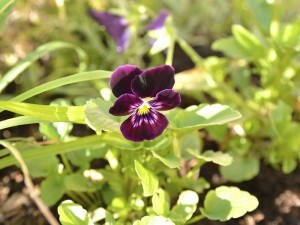 I have a few new-comers that seem to have stayed – the small violas. I do hope you enjoy what I can offer and I am looking forward to seeing all the spring gardens up there in the Northern Hemisphere! Happy Blooming Friday!! I love the blue Tibouchina, although ours here have bigger blooms your white rose and the camellia are so beautiful! Both gardens have such lovely blooms! Hi, a friend bought me anouther 2 Toibouchinas – he says I must always plant three of a plant to get the full effect, so I’m excited to have more. I’ll do a post with photos once I get them all into the ground. 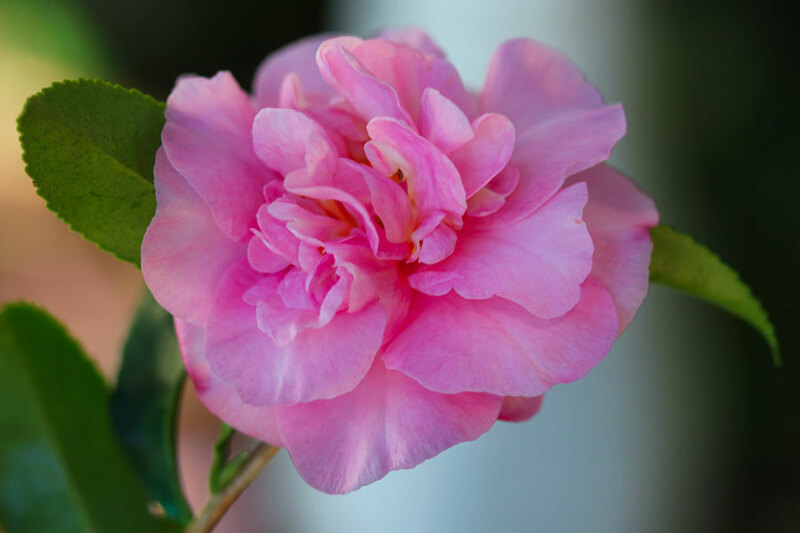 It is so much fun to see the blooms from both or your gardens! I love the protea, always admire them when I go to the botanical garden. Happy bloom day! My mother loves Japanese anemones, and it was only when we went to look at that garden at Rustenberg – where I saw a spectacular sweeping border with an abundance of anemones, that I could see what she loved. 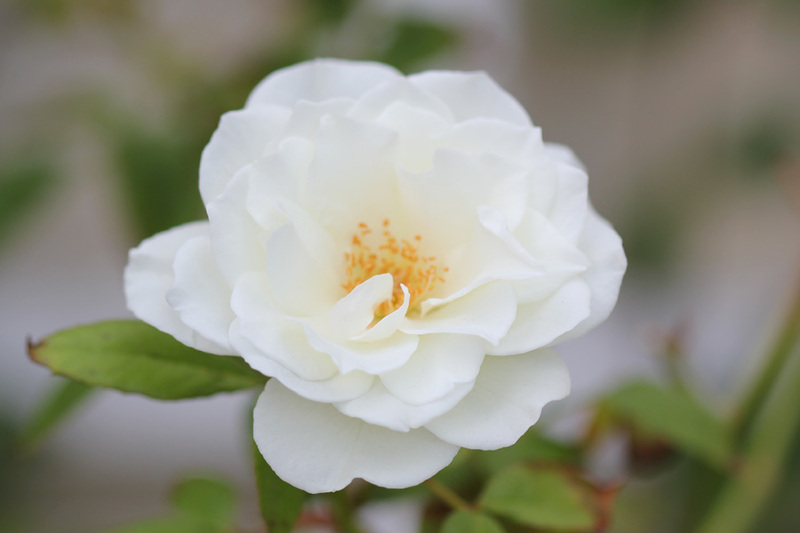 I must trawl my pre-blogging photos and do a retrospective on Duncan’s roses and Rustenberg ;~)) Thanks for the inspiration! I would love if you did a retrospective on Duncans & Rustenberg! Your photos are always gorgeous & I love your writing!! 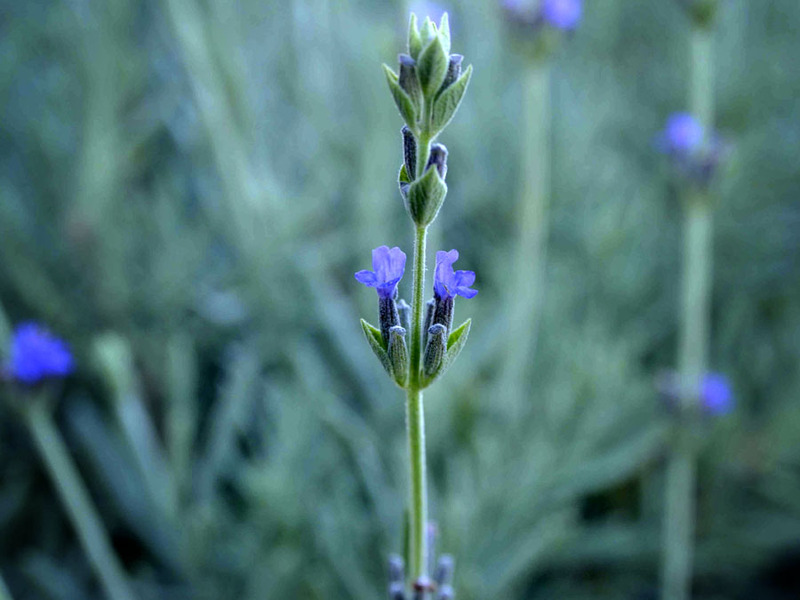 You’ve got very different things in bloom in both of your gardens this month. My favourite is that white anemone – it’s some centre piece of a flower. Happy GBBD to you both. Each garden has color and bloom to boot. Seems strange to think autumn though. Two beautiful perspectives! I do hope you can find the feather grass, it is one of my favorites and it reseeds so you’ll have lots of volunteers to spread around the garden! Have a wonderful weekend! You both have so many lovely flowers! I love tibouchina too, it just finished blooming… The roses are lovely, and so is the lavender. Thanks for the virtual tour! I just love both the gardens. The japanese anemone and mandevilla are looking gorgeous. 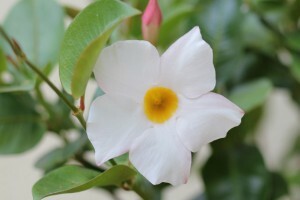 I was wondering if mandevilla is fragrant. The laxa is the one i am growing with fragrant flowers. Happy bloom day. Hi Muhammad, thanks for the visit! The Mandevilla is actually not very fragrant at all, but it makes up for that in that it seems to flower non stop. 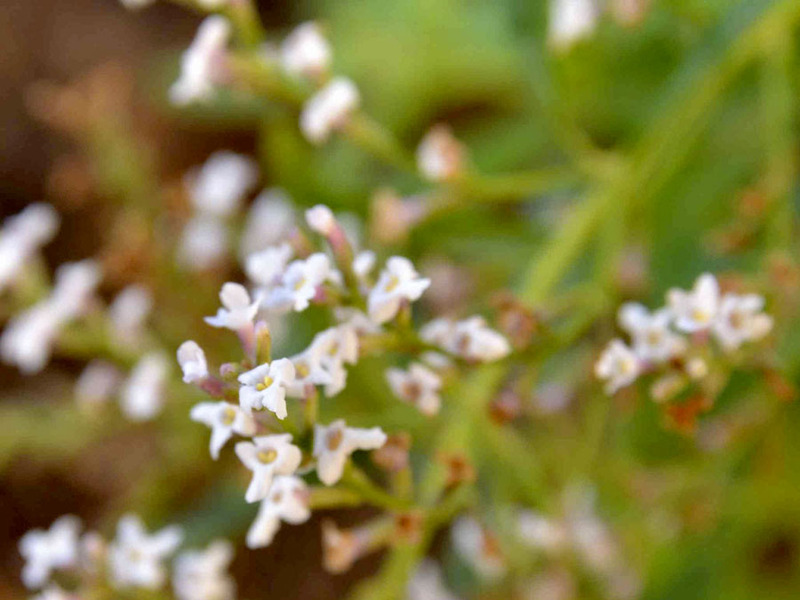 It’s been flowering continuously for the last seven months and doesn’t look set to stop with plenty new buds. It lives in a very sunny spot. Thanks for the visit, Dee! I love your garden, it’s looking fabulous in it’s spring finery! Your flowers are lovely and the photos spectacular! It is so interesting to read about two gardeners and two gardens so different and yet still so amazing. I love the Japanese Anenome too, though it is slightly disconcerting seeing an Autumn flowering plant blooming in what is our Spring! The joys of the Internet. 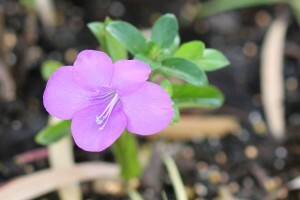 I also love Tibouchina, my Dad manages to grow it in his Devon garden, but I have no chance with it. 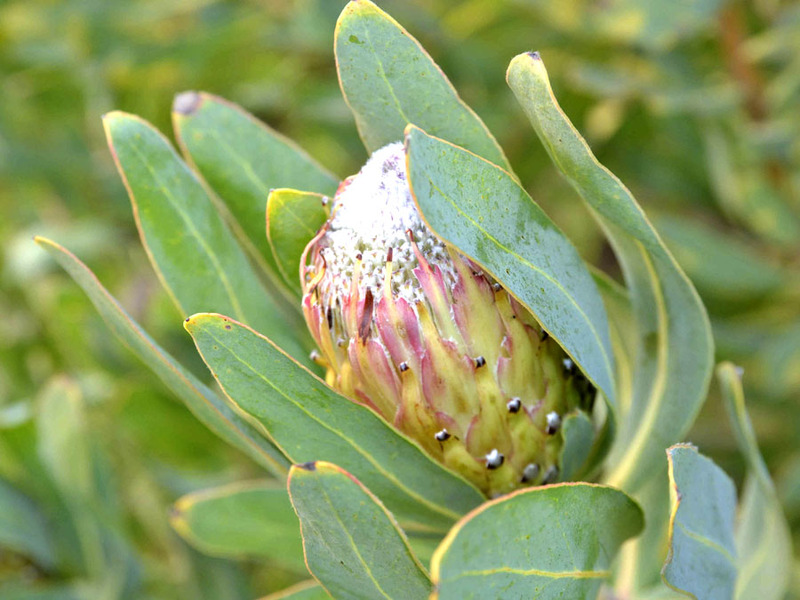 Gotta say though, my absolute favourite is the Protea. I was lucky enough to see them at Kirstenbosch years ago, and fell in love with them. Happy GBBD! Ah Janet, so you know our lovely Kirstenbosch Gardens! I live about five minutes from there! I am planning a vist to “show” it on the blog, just waiting for a good day! I LOVE that Japanese anemone…I need to have one now!!! Hi Amy – Of all the flowers I have in my garden, the Japanese Anemone is my daughters favourite too – You both have great taste . I also have a newly acquired pink one. Cant’s wait to plant it this weekend. Thank you for dropping by my blog, Christine. 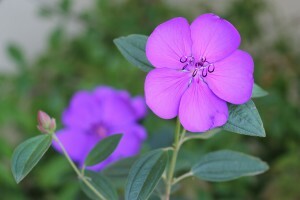 I love the color of the Tibouchina and the Iceberg Rose is so delicate and beautiful! sehr schöne Fotos und danke für deine Teilnahme am GBBT! Seeing your Anemone is reminding me, you have autumn now! Gorgeous! Both beautiful, but unique. Loved seeing both your garden’s blooms. Thank you so much, Holly. It is greets to take part in something universal. Fun to see the reverse of us, even a plant I grow and sell: Japanese anemone. 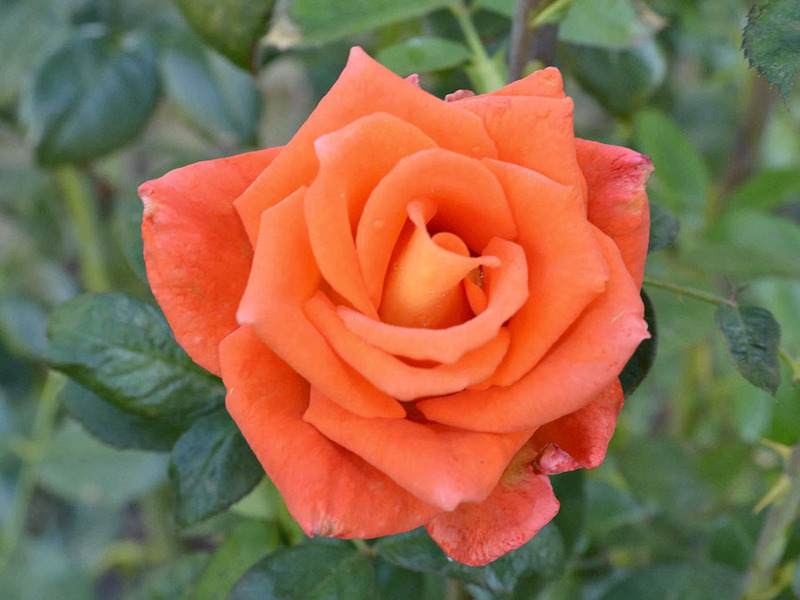 What is the name of that beautiful orange rose. 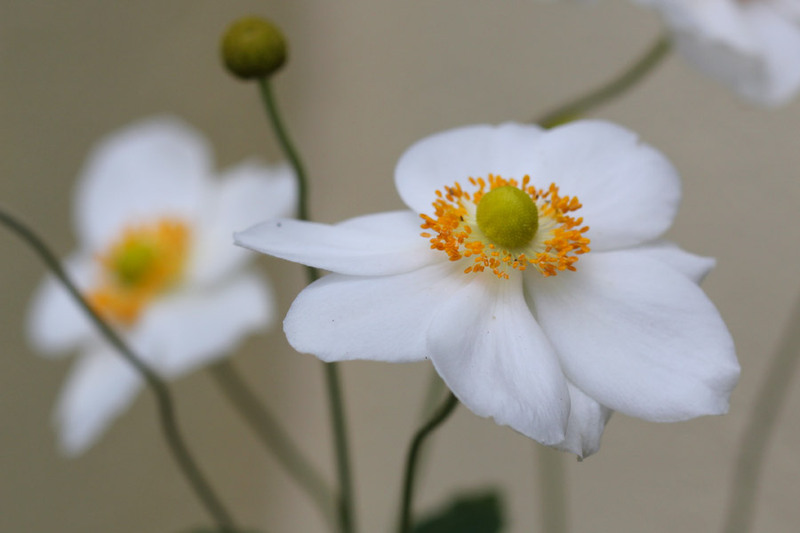 Hi Carolyn – thanks for stopping by – Isn’t the Japanese Anemone lovely? I bet they sell like hot cakes at your nursery. Hi Carolyn, sorry, I don’t know the name of this rose. but it is very fragrant and has an almost waxy leaf. It blooms continuously. Thanks Donna – I’ve been watching and waiting for your GBBD post!